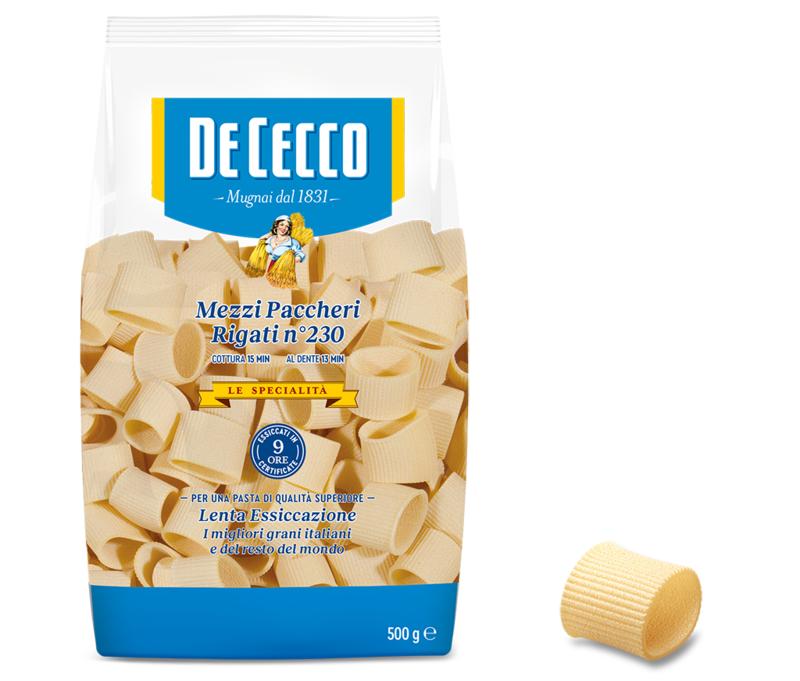 Mezzi Paccheri Rigati are inspired by the typical Paccheri from the Campania region. The thickness, and size of this cut of pasta and its ability to soak up sauces makes it ideal for serving with fish and shellfish sauces. Try it with condiments based on tomato sauce or rich meat ragùs.